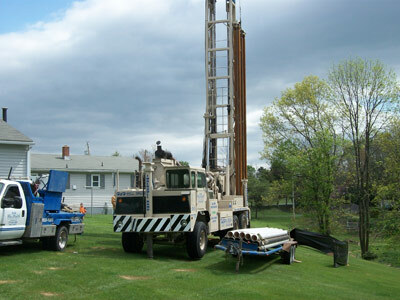 In November of 2002, H & H Well Drilling started like any other small business venture, with a passion for what they do and little resources to do it. But in the years since then we have been blessed to be able to turn a three-man, family-run company with one drill rig and one service truck into a well managed three-crew operation, running three drill rigs and a sufficient fleet of service vehicles to meet any well drilling need. But H & H Well Drilling is a company that is devoted to meeting the needs of you the consumer. Whether you need a well drilled, a pump installed or serviced, an answer to your water conditioning questions or a geothermal system installed that will make you smile at local fuel provider prices, H & H is here for you. We are a company built upon the relationships that we form with you, the customer. We realize that it is you that allow us to operate and so we treat every day of business, not matter how big or small the concern, with the professional attitude and demeanor that our customers have come to know and expect.